With so many different types of floor coverings available, choosing the best option for your home can be a challenge. Identifying the unique set of needs your household has will help you to narrow down your choice. Most people want to spend less time cleaning and more time enjoying their lifestyle, so our style team look to achieve this balance of low-maintenance with durability and style in every home we build. When it comes time to choose which flooring best suits your needs, our team are happy to help you decide – but for now, let’s explore two of our best recommendations to suit a family with young kids – four-legged members included! As your little ones take their first steps, you’ll want to be sure that the ground they stand on is safe and secure. Rigid Composite Board (RCB) Hybrid Flooring is the perfect choice to match this milestone. It’s a new generation of product, manufactured using technology that provides a number of key features perfect for high traffic areas, such as your busy hallway and well-loved living zone. Not only is this flooring option stable and highly durable, its interior is waterproof – so it can also be installed in wet areas such as in the kitchen, dining room and laundry. It’s easy to maintain, too – making it perfect for messy meal times with little ones and the daily spills and splashes that are bound to occur. For the interior designer within, there is a variety of RCB timber textures and colours to choose from. These showcase a number of classic Australian timber species through to more contemporary colour palettes. Knowing that this product is Fire Test Code Qualified, has a Slip Test P3 rating and is Floor Score Certified for Interior Air Quality further demonstrates why this is a wonderful choice for your young family’s new home. Our other family-friendly flooring recommendation is porcelain tiles. These tiles are dense, water resistant and perfect for children’s biggest splash zones such as the bathroom and laundry. Porcelain tiles are chemically neutral, which means there are no artificial components to worry about. And, while porcelain tiles do require cleaning like all flooring options, they are not porous so spills can be wiped up easily and quickly. Parents won’t need to worry about wear and tear from scuffing shoes, pets or children’s toys as these tiles are even harder wearing that timber flooring! Porcelain tiles are highly resistant to chipping and scratching, a big plus for pet owners. If looked after, porcelain tiles can last for many decades with little to no damage. 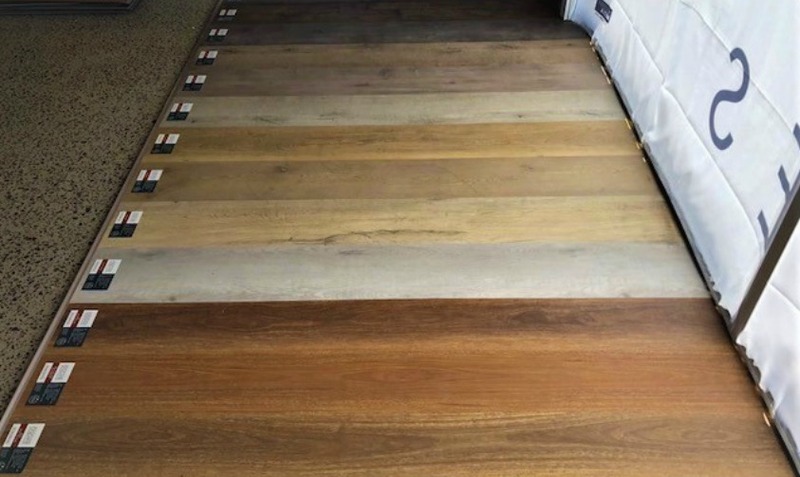 If you choose a neutral colour palette for your homes flooring, you can simply update style of your home with new furnishings and the flooring wont date at all. There are so many colours, finishes and styles to choose from. You’re bound to find your perfect match. With Aston Homes, what you see really is what you get! Just like our fantastic flooring options, all of the inclusions that you see in our display homes are our base standards – that means they’re included in our base price. Looking to learn more about the Aston Homes difference? Read about each of our floorplan’s inclusions here.